Wondering why your Facebook Ads aren’t driving sales? Download this FREE guide now and you will benefit by…. Discovering how to use Facebook advertising to conduct market research, and how choosing a laser targeted audience can help your campaigns generate substantially more revenue! Over the last 7 years, our agency has helped all kinds of businesses with Facebook advertising — from luxury real estate to churches to sign shops, and everything in between, we’ve pretty much done it all at this point. Every single time…. there are a handful of critical elements to any successful Facebook advertising campaign. We’re going to reveal to you these time-tested secrets to you… all for free. 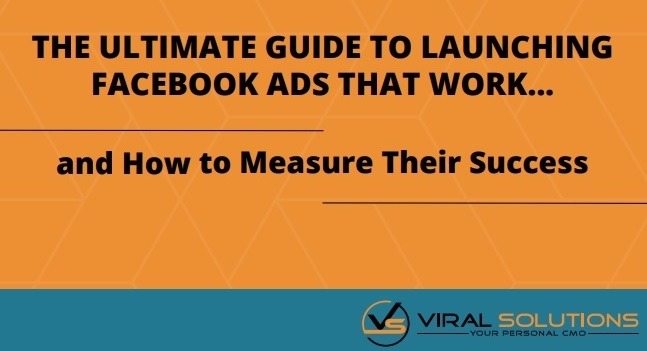 We’ve put together this ultimate guide just for YOU to help you get results from your Facebook ad campaigns! Learn from our experience for FREE!